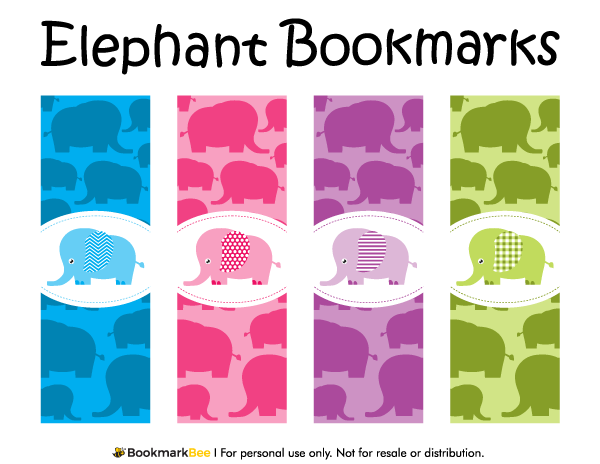 Cute and colorful elephants with patterned ears in the center of each bookmark. The rest of the bookmark features elephant silhouettes in a monochromatic color scheme. Download a free version of this bookmark below. Note that the free version includes a watermark on each bookmark, but we do offer a bundle of all bookmarks without the watermark.